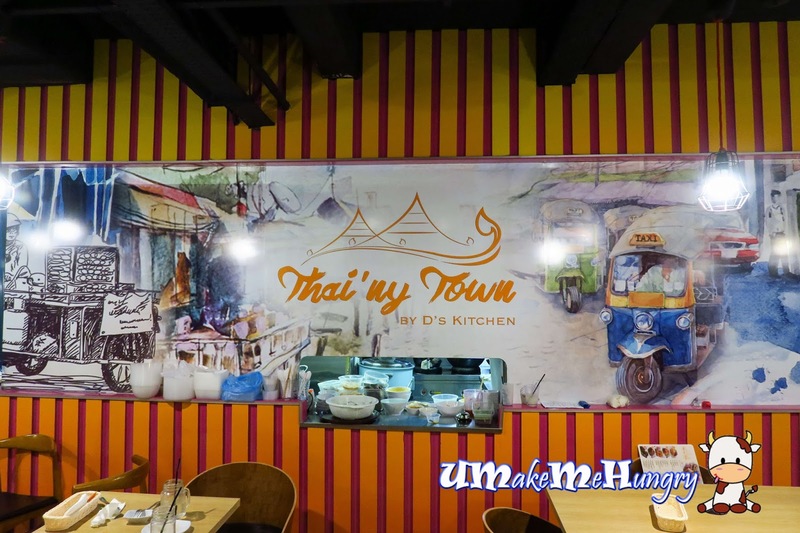 Located at the humble corner of Junction 10 (Previously known as Ten Mile Junction), you will find this causal family corner name Thai'Ny Town. 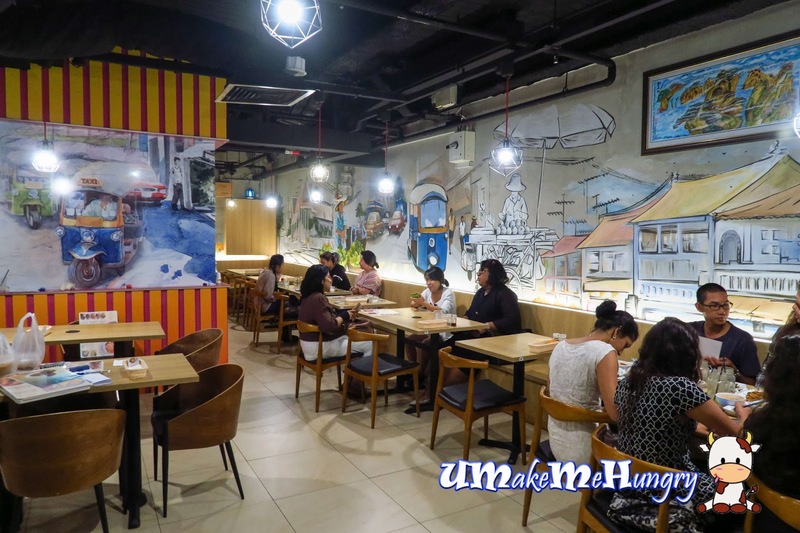 If you have heard of D's Kitchen Mookata in the premises of Woodlands Industrial Park E2, Thai'Ny Town is actually one of the stalls branching out from its Traditional Thai Barbecue business. 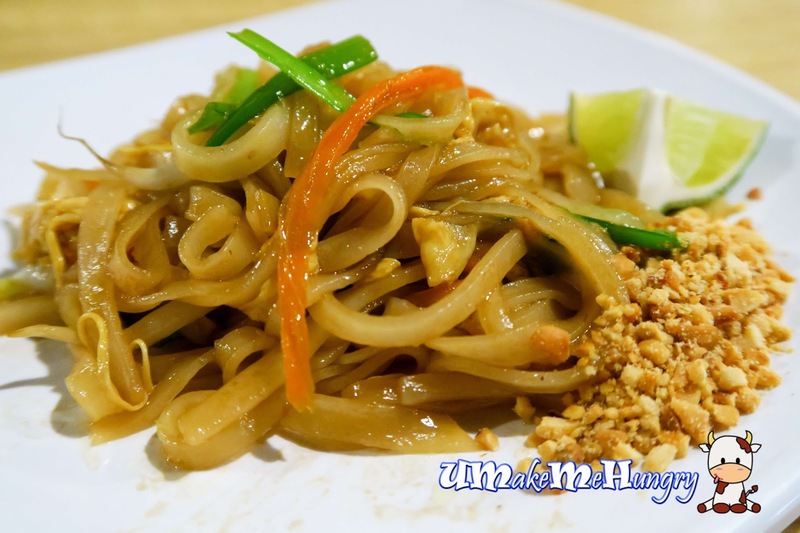 In fact, Thai'NY is more specialized in serving ala carte dishes. 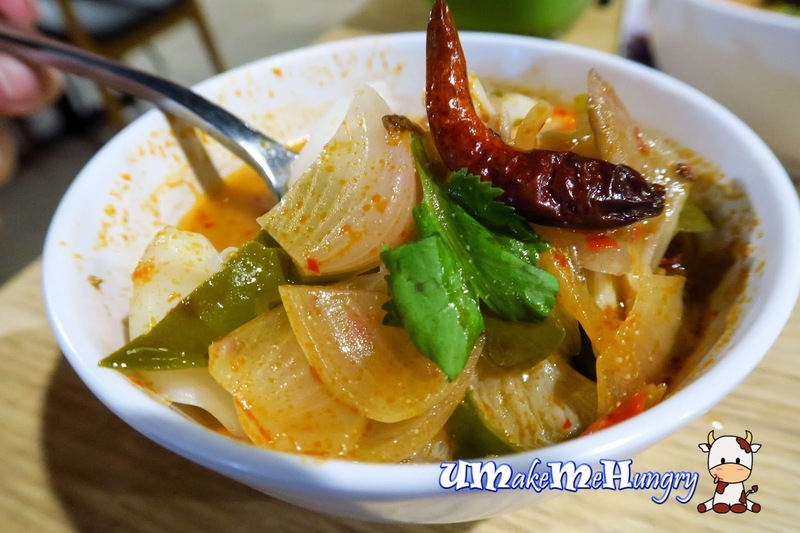 With a group of supportive Thai Locals working in the kitchen, there is no doubt about its authenticity. Moreover, having said that, we have met the boss, Demise, who shared a fair bit about D's Kitchen. When asked why is it called D's Kitchen, he mentioned that "D" is actually the starting alphabet of his kid's name and his. Environment was simple with wallpapers sticking to the back of the wall. 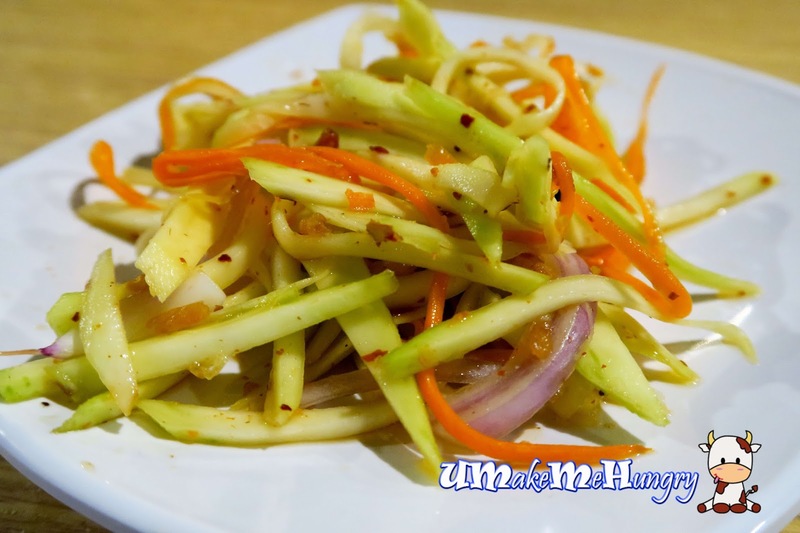 Starting of the meal with the commonly ordered Thai Appetizer, Mango Salad. Although I'm not someone who can really take spiciness, this dish is perfect on spot for someone like me who cannot take high level of spice. 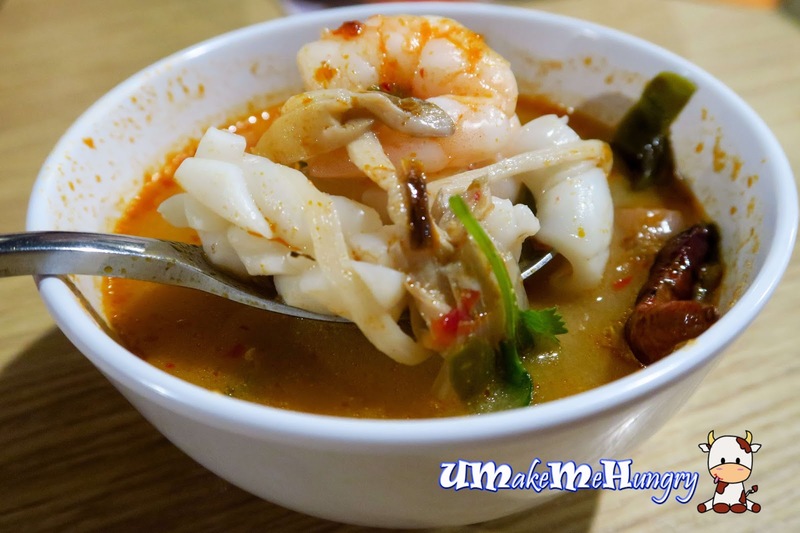 Set your preference of the Tom Yum Soup! Red or clear? We had the red version and to be honest, the soup itself was indeed spicy even though it was said that they have altered their recipe with use of more onions. Though I'm not a person with high tolerance in spicy food, I enjoyed the soup with its generous serving of seafood like prawns and sotong. 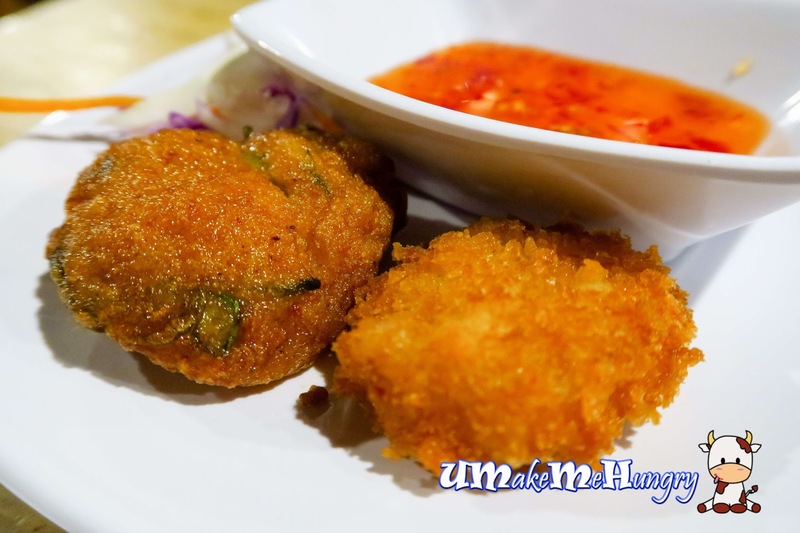 Fish and prawn cake will be something I will vote for. These cakes were made from scratch, with fish cake holding its uniqueness for its bouncy texture. 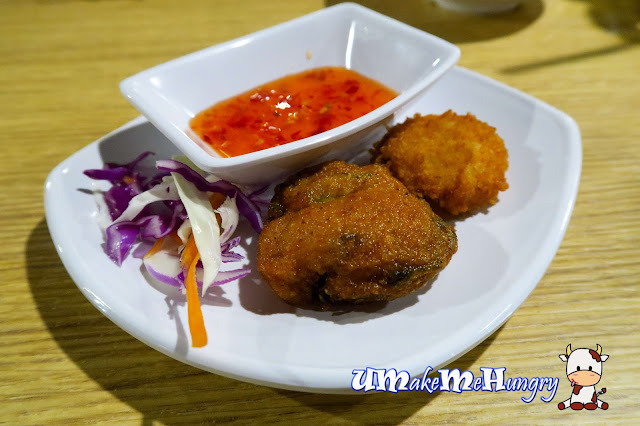 Dip these golden fried cakes into the sweet and spicy sauce to elevate its taste! 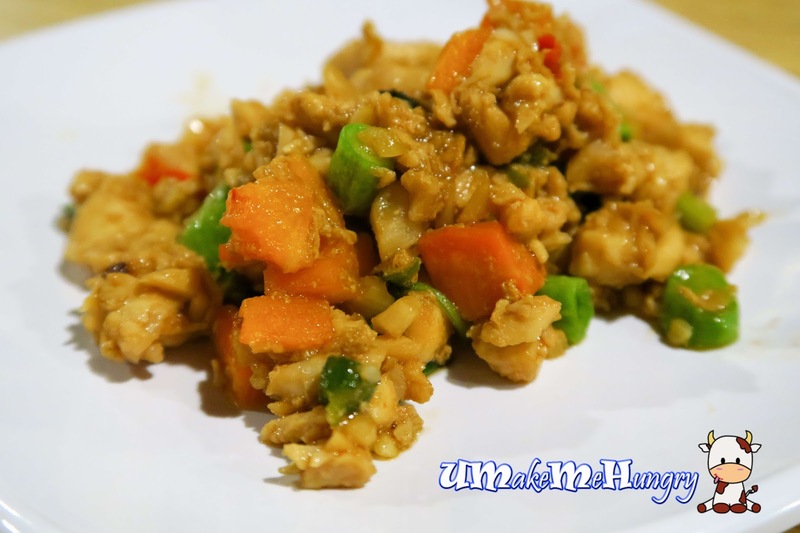 Gearing away from the mainstream of Thai Spicy Minced chicken with basil, Thai'Ny Town had actually did a improvised version of this dish. 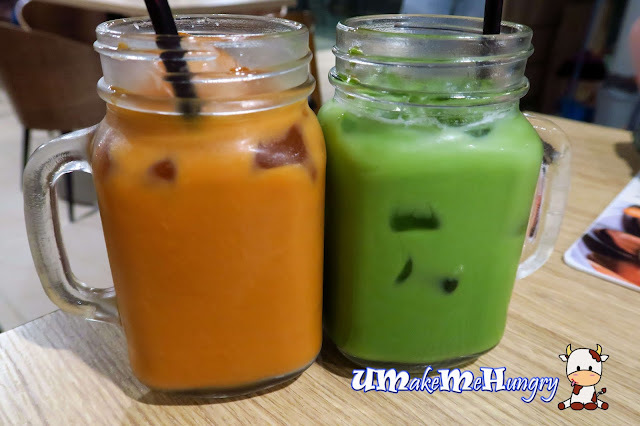 Carrot cubes were added to give a sweeter taste of it with a lighter taste of basil. 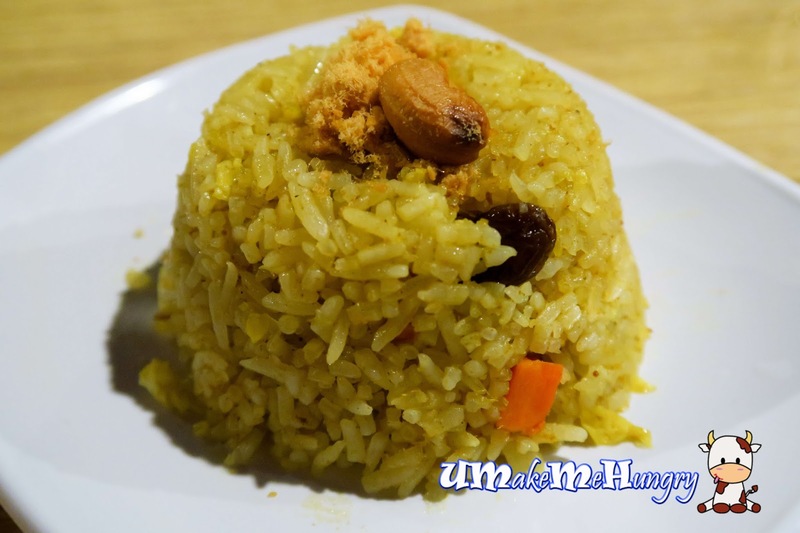 The usual pineapple rice had the usual ingredients like meat floss, rasins, cashew nuts but still lacked the fresh, juicy and tangy pineapple that burst the flavour of the turmeric rice. Moving into another common dish in Thai cuisine, the Green Curry. It's best to pair along with a bowl of plain rice covering the grains with the savoury curry. 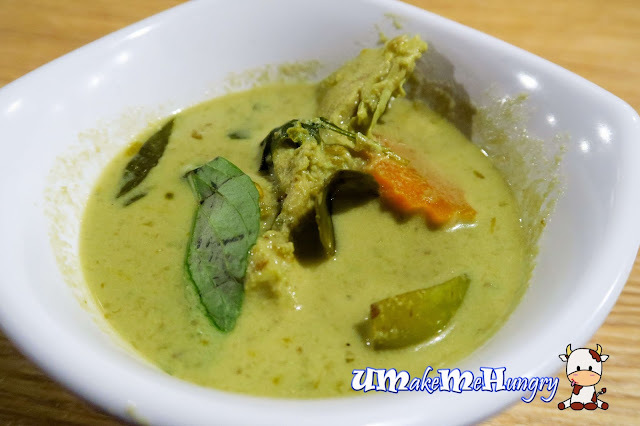 Curry gravy thickness was not too thick which is perfect, however I will prefer a stronger green curry flavour. 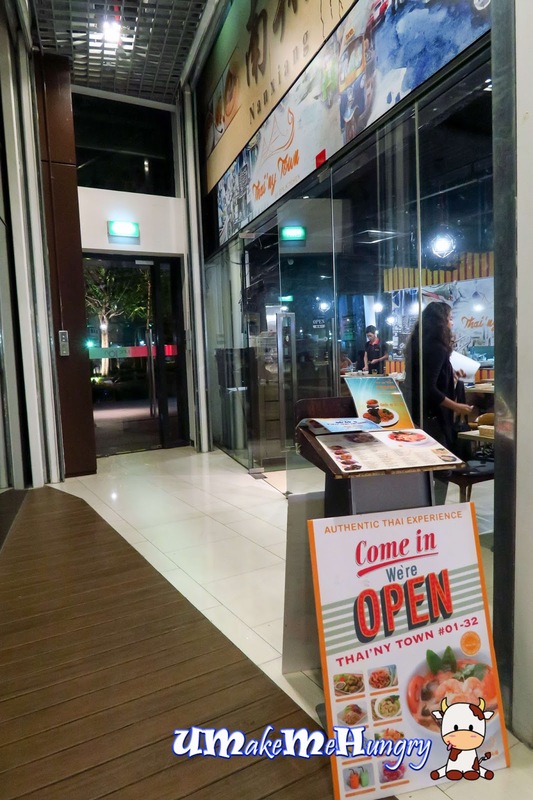 What I like about Thai'Ny town is their innovations, a little here and there, driving and getting us away from the usual Thai Food scene we all see in the restaurants. We had the tasting portion of Pla Too (Short Mackerel) coated with a teaspoon amont of Belachan. The spice was great on the Mackerel without being overpowering but on a salty side. Perhaps one thing that diner has to be careful is its fish bone. Presentation on the other side was beautiful with the right use of colours. The stir fried rice noodle dish was simple and an average fare that will go well with other ala carte dishes. Larb Gai, a common dishes served in Thailand. 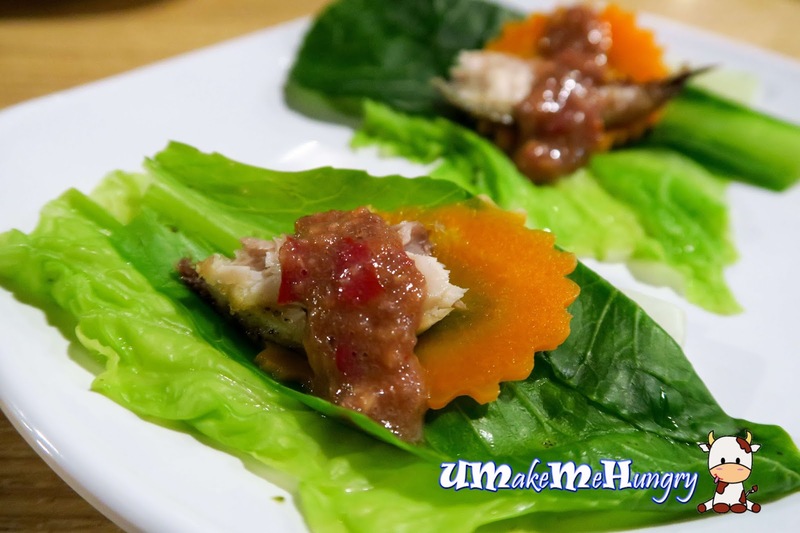 "Larb" which means Salad and Gai as "Chicken" in Thai is often a easy and straight forward dish they make. However, it can be extremely spicy but the use of lime juice and mint leaves had given this dish a splendid combination. And of course, dont forget to have cups of milk beverages like this as it aids in washing down the spice through your digestive system. Awesome! 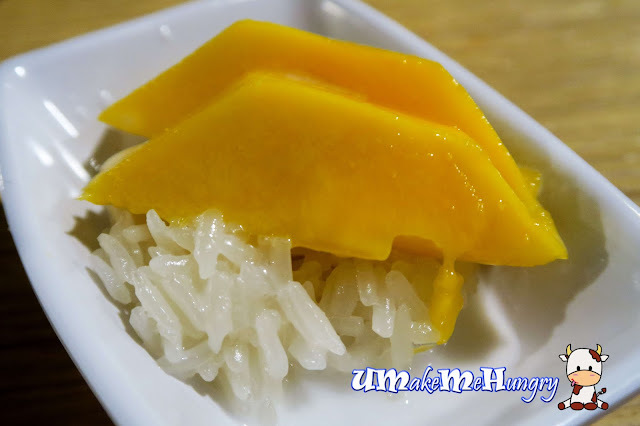 The sweet and smooth mango is the must try. With creamy coconut milk adding on to the fragrance of the steamed rice, they are definitely addictive and toothsome, just like those which I had from in the streets of Bangkok. Glancing through the menu, the prices of the dish is rather affordable keeping in mind we are dining in a air-conditioned environment and in the mall. If you are looking for simple and not overly commercialized Thai Food, Thai'Ny Town could fit the bill.